I’ve seen so many lists of foods to avoid in order to curb inflammation, or are supposedly anti-inflammatory. As a lover of milk, cheese, butter and basically all things dairy, the occasional appearance of dairy on lists of inflammatory foods had me frightened (and sad), so I thought I’d look into it. First, let’s define inflammation. Inflammation is a complex biologic response of our body’s tissues to any harmful stimuli. It’s a protective response, and functions to eliminate the cause of the injury, and initiate repair of any damaged tissue. Acute inflammation is an absolutely necessary part of the healing process. Inflammation can become harmful when it become a chronic condition, such as the case in asthma, Crohn’s disease, and in autoimmune disorders like rheumatoid arthritis. But might dairy be a cause of chronic inflammation, or might it actually be anti-inflammatory? YES! You see, like many things in life, it’s a pretty complex answer and not black and white. If you are lactose intolerant, dairy consumption absolutely could be a cause of chronic inflammation for you. Lactose intolerance comes in degrees, from those who suffer severe abdominal pain and distress when even a little bit of lactose is consumed, to those with lower grade intolerance (maybe just some gasiness if non-fermented dairy is consumed in larger quantities). Overall, about 65% of us will experience some degree of lactose intolerance in adulthood. In some East Asian communities, that rate goes up to 90%. However, in Northern Europeans, the rate is as low as 5%. Here’s where it get’s really interesting. 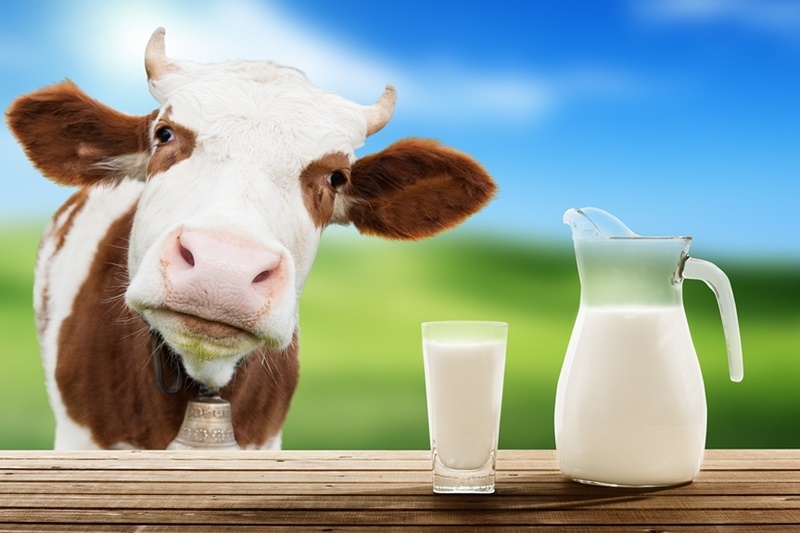 Studies have shown that in those who do not have an intolerance or allergy to milk, dairy is not only neutral, but likely has an anti-inflammatory response! The anti-inflammatory response was seen most in those with metabolic disorders, such as obesity and cardiovascular disorders. Even better news, dairy consumption has been shown to have a positive effect on those with type-2 diabetes and hypertension. If you have any degree of confirmed allergy to dairy (and frankly, that’s a slight majority of us), stay away from it. If you don’t have a dairy allergy, 2-3 servings per day is absolutely healthy and beneficial in your diet. References used are here, here and here.